Learn how to love your dogs without spoiling them and provide boundaries without intimidation. 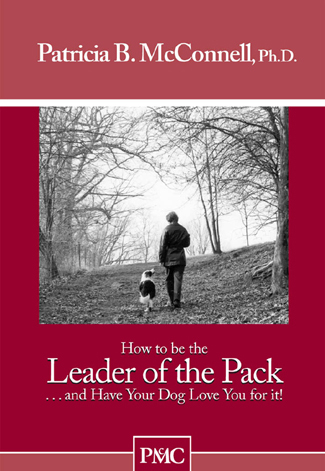 This dog training booklet clarifies how to be a benevolent leader and avoid aggression related to fear or dominance. If you want to be a natural leader to your pack and teach your dog that being polite is fun, this booklet tells you how to do it in a peaceful, kind way. The ideas and exercises are based on the way dogs communicate with each other, so they are highly effective and easy for your dog to understand. Written by Patricia McConnell, it is an essential part of any canine library and very popular with humane societies, rescue groups and vet clinics!